Watching your child miss a milestone is a very worrying sign. If your child is missing speech milestones he or she may have a neurological condition called Apraxia. In this post we provide 17 resources that will help you learn about apraxia and its characteristics. This organization provides resources for those new to the diagnosis of Childhood Apraxia of Speech as well as resources for speech language pathologists, educators and health care professionals. Apraxia-Kids.org also hosts a online library with in-depth articles and information on all topics related to Childhood Apraxia of Speech, its diagnosis, treatment, and research. Cincinnati Children’s Hospital gives a very clear overview and explanation of Childhood Apraxia of Speech. The causes, signs and treatment of Childhood Apraxia of Speech are all covered in this short and to-the-point- guide. If you are really looking to dive deep then Pediastaff is the place to visit. 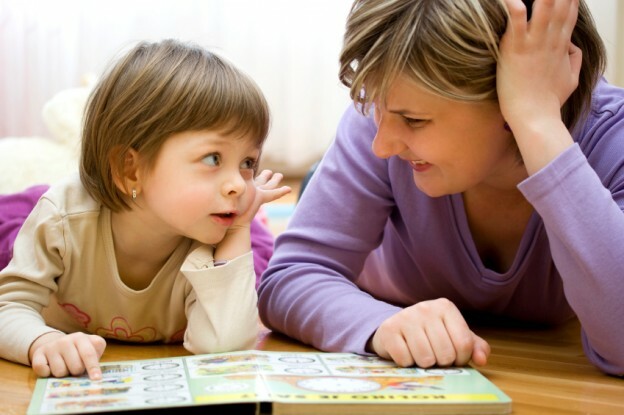 They provide over 100 in-depth articles related to Childhood Apraxia of Speech. Learn from parents that have journeyed down the apraxia path before you. Check out these blogs from parents raising a child with Childhood Apraxia of Speech and join the conversation. While mainly known as a visual hot spot for design, home decor, fashion and recipes, Pinterest has a number of “pinners” that pin special needs related items and activities. 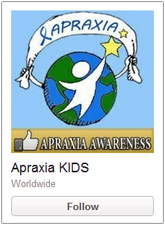 Check out these organizations and Pinterest boards dedicated to Childhood Apraxia of Speech. If you are looking for an offline way to learn about apraxia there a number of great books for you to read. Here are a five books that will guide parents in working with their child. A parents’ guide to understanding, treating, and living with childhood apraxia of speech (CAS). Written in an empathic style by a parent who “has been there”, Speaking of Apraxia offers hope and practical advice for parents of toddlers to teens with this neurologically-based motor speech disorder. The Big Book of Exclamations is an educational book written by a speech pathologist and designed to promote speech sound development and imitation of gestures, sounds and words. A wonderful book for young children with typical speech development and those considered “late talkers”. Balanced with a mother’s perspective and an acclaimed doctor’s experience, this book gives parents advice on finding the right therapy and therapist, negotiating with school boards, teachers, and language specialists and speech exercises to do at home with a child. The Parent’s Guide to Speech and Language Problems is a one-stop resource, offering not just the most up-to-date medical information but also advice and encouragement from a mom who’s been there. This book has a great combination of clinical research and real-world, hands-on parenting solutions. This book offers a range of strategies to employ when a child needs some extra help to work through a particular speech difficulty. The book also addresses the emotions parents deal with and devotes a chapter to signs and symptoms of other common communication problems that may co-exist.